Hate to break it to you, kids, but Christmas is over. Which means you could leave the decorations up until Memorial Day, or you could start taking them down now and get it over with. If you're inclined to go with the latter, chances are you'll want to get it done in a hurry. So take a pro tip from Nissan. Rather than painstakingly removing each of the decorations, packing them away in a box for next year, and unceremoniously discarding the evergreen tree upon which they hung, the Japanese automaker has another idea: Make sure the tree's on a stand that will allow it to revolve rapidly, hook up the string of lights to the back of a GT-R, and mash the throttle. Use launch control to expedite the process. Of course the results, as you can see from the video above, may not exactly keep the ornaments in pristine condition for the Ghost of Christmas Future. 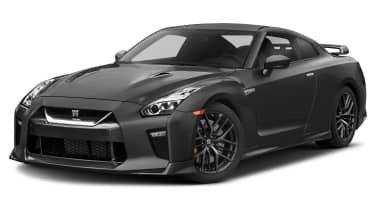 It's also predicated on the notion of having been gifted a GT-R for the holidays this year, which would be more than enough motivation to get us through our chores post-haste and out on the open road. But one way or another, it'll get the job done without delay, which will leave you with plenty of time to start hanging the Happy 2016 banners and hammer out your list of New Year's resolutions. Like using a 545-horsepower, all-wheel-drive sports car to speed through more of your chores, for example.